Treaties on Geophysics: Core Dynamics, Volume 8, provides a comprehensive review of the current state of understanding of core dynamics. The book begins by analyzing a subject of long-standing and on-going controversy: the gross energetics of the core. It then explains the important elements of dynamo theory; actual fluid motions in the core; the basic physical principles involved in thermochemical convection in the core and the basic equations governing the convection; and turbulence and the small-scale dynamics of the core. This is followed by discussions of the state of knowledge on rotation-induced core flows; the use of first-principles numerical models of self-sustaining fluid dynamos; and the behavior of polarity reversals in numerical dynamo models. 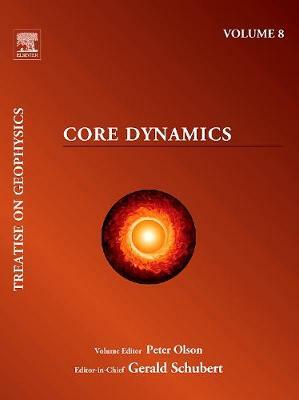 The remaining chapters cover the various roles the inner core plays in core dynamics and the geodynamo; experiments that have shaped knowledge about the flows in the core that produce the geodynamo and govern its evolution; and ways the mantle can affect core dynamics, and corresponding ways the core can affect the mantle.